It just takes a few moments for you to transfer money to your family, friends or business partners using JazzCash Mobile Account. Through JazzCash Mobile Account, you can transfer money to anyone’s Computerized National Identity Card (CNIC) instantly and securely. 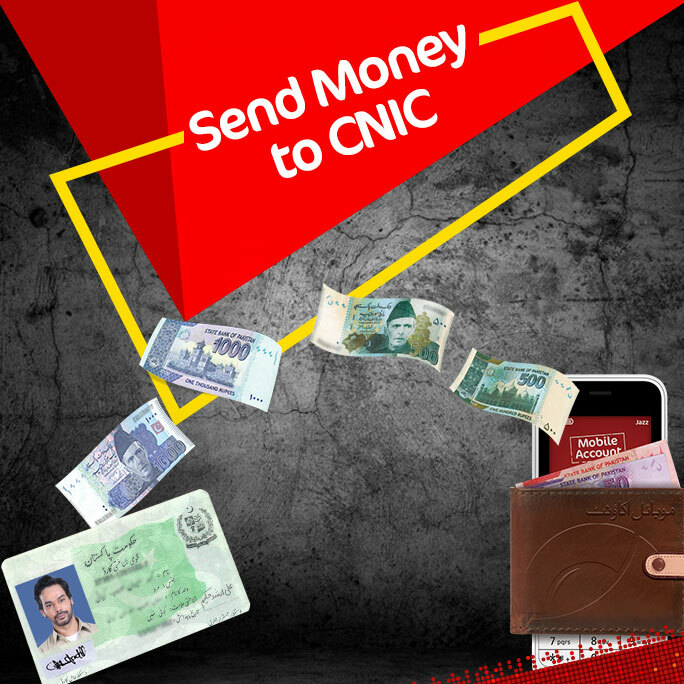 For this transaction, it is not necessary for the receiver to have a registered account, all they need is their CNIC!